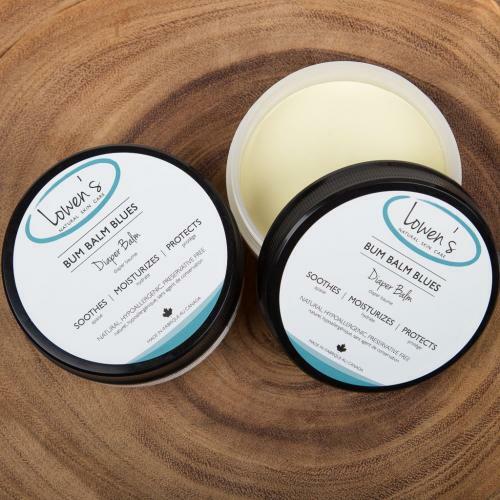 EWG scientists reviewed Lowen's Natural Skin Care Bum Balm Blues Diaper Balm for safety according to the methodology outlined in our Skin Deep Cosmetics Database. We assess the ingredients listed on the labels of personal care products based on data in toxicity and regulatory databases, government and health agency assessments and the open scientific literature. Lowen's Natural Skin Care Bum Balm Blues Diaper Balm is EWG VERIFIED™. Apply to clean dry skin when rash or irritation is present. Spread evenly over the affected areas you want to protect. Use Sparingly.